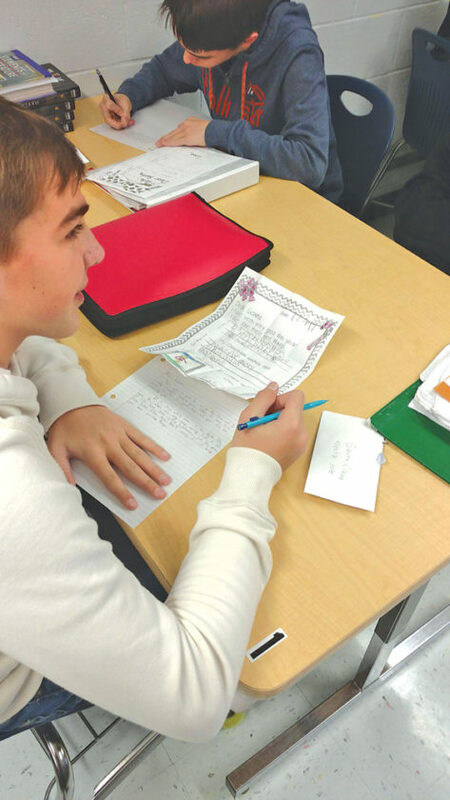 Photo Provided Parkersburg South High School freshmen Brodie Wiggins, left, and Brad McPeek, right, were among the Freshman Honors English Class students who made sure children who wrote to Santa got a response this holiday season. 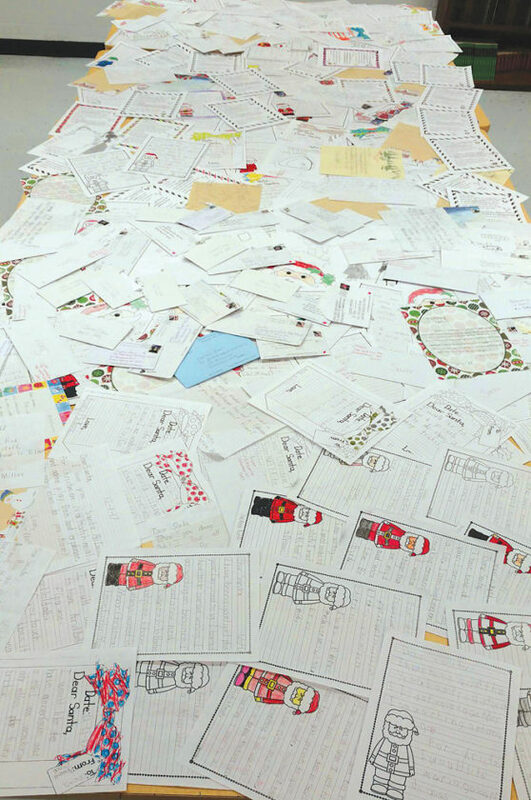 Photo Provided More than 300 area children sent letters for Santa Claus to Parkersburg South High School, and students made sure every one got a personal reply from St. Nick himself. 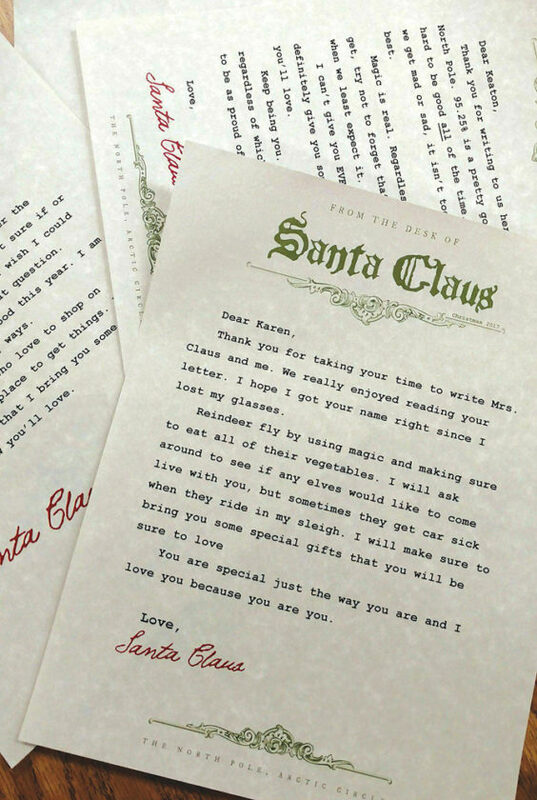 Photo Provided Every child who mailed a letter to Parkersburg South High School receive a personal reply from Santa Claus on parchment paper and sporting Santa’s own letterhead. 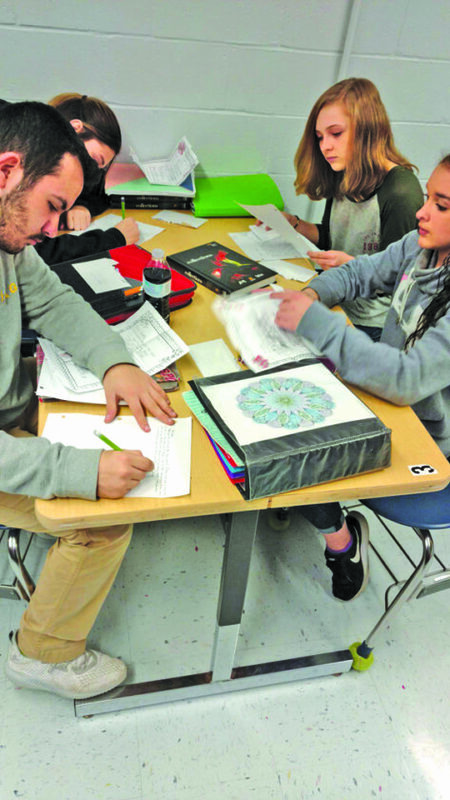 Photo Provided Parkersburg South High School Freshman Honors English Class students Maddi Watson, upper left, Sam Hickman, lower left, Kailey Crites, upper right, and Sierra Mackey, lower right, read through letters sent to Santa Claus by area children. The class handled the letters sent to the school and made sure every child got a response from Santa. PARKERSBURG — More than 300 area children sent letters for Santa Claus to Parkersburg South High School, and students made sure every one got a personal reply from St. Nick himself. Teacher Justin McKown said his freshman Honors English classes have received 337 letters since the end of September. This is the first year the classes have offered to receive letters for the North Pole. Many of the letters came from individuals, but some area elementary schools joined in on the magic. McKown said 75 letters came from second-grade classrooms at Blennerhassett Elementary School. Some of the letters caused some laughter. One child, for example, argued that despite fighting with his brother, he should be put on the Nice List and his brother should remain on the Naughty List. Gift requests ranged from standard toys to big-ticket items, or even living things. “This one girl loved Harry Potter, and she said she’d be happy if she got everything from the Harry Potter store,” said 14-year-old Haley Hatfield. McKown said all of the replies were on parchment paper and sported special letterhead and Santa’s signature. The students helped Santa to make the responses as personalized as possible for each child. 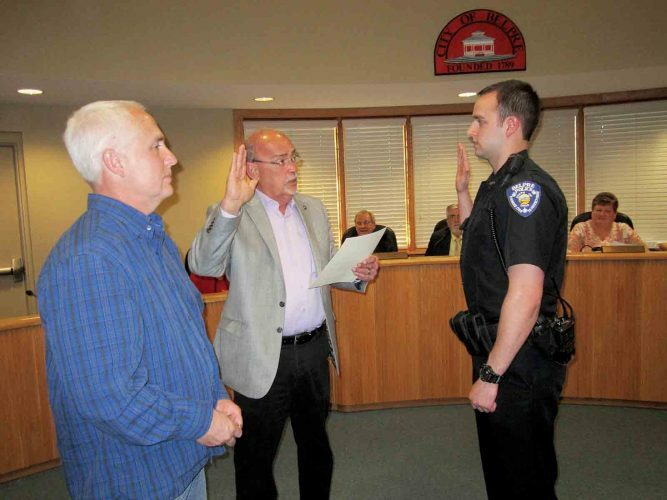 “I told the kids to take a ‘Mister Rogers’ approach,” McKown said. South Principal Betsy Patterson said she was happy to see the first-time program succeed. The school paid for postage on the replies. McKown said he hopes the letters brightened the holidays for area children and made each of them feel special during the Christmas season. “Some kids have self-esteem issues, so when they hear Santa loves them and thinks they’re special, they’re just beaming,” he said. The program also brought some of the spirit of the season to his students, he said.